It may be bordered by two vast bodies of water and it may boast the warm climate that residents of the Northern hemisphere so often long for, but Costa Rica’s real draw has nothing to do with its looks, and rather what lives within them. 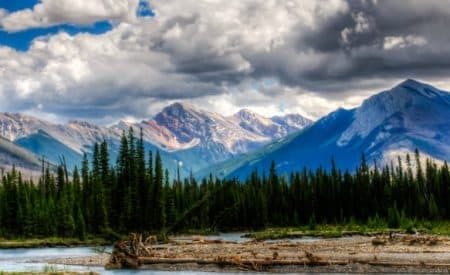 Indeed, the country is considered to possess the highest density of biodiversity – roughly 4% – of any country worldwide despite encompassing just 0.3% of Earth’s landmass. With some of the world’s most iconic animals (from lethal vipers to adorable monkeys and rainbow-colored birds) located within its luxuriant jungle as well as world-class seaside resorts, Costa Rica is nothing short of a poster destination for everything eco-tourism. Being home to more than 500,000 species (300,000 of which are insects — although that may not be a very appealing piece of information!) makes Costa Rica a top destination for animal lovers and curious explorers. 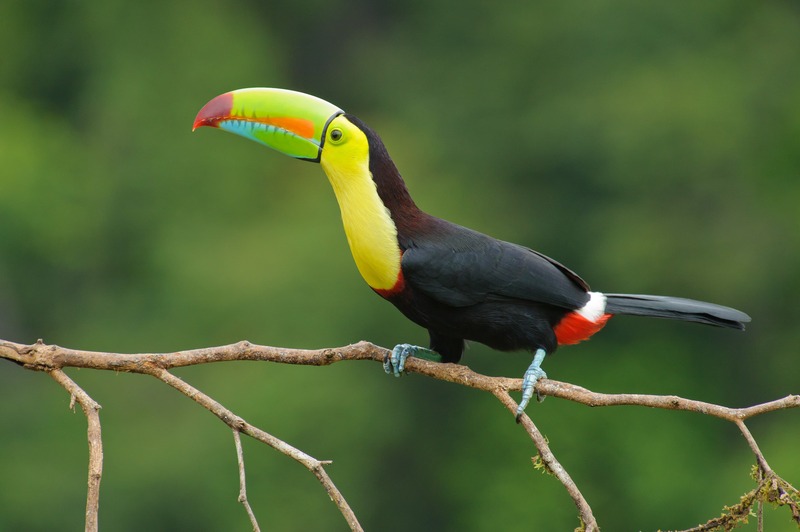 There is a wide variety of wildlife-oriented tours around Costa Rica, from sanctuary visits to eco-treks, horseback riding, hiking mountainous paths in the cloud forests and guided bird-watching tours. Corcovado National Park is definitely the place to be for flora and fauna enthusiasts — it is often regarded as the proverbial crown jewel of Costa Rican national parks because of its spectacular ecological variety. This is, without a doubt, where the wildlife sightseeing will occur! Sloths, scarlet macaws, numerous butterflies, anteaters, a variety of wild cats, frightening spiders and highly colourful – albeit lethal – frogs, toucans as well as endangered species like the Baird’s tapir and the squirrel monkey, the spider monkey and several species of snake all live in the national park — not to mention the marine mammals visible from the shore, such as humpback whales, several species of dolphins, manatees and killer whales. This impressive abundance in wildlife can partly be explained by the 13 different variety of vegetation types and 500 species of trees. Anyone Looking For a Thrill? In addition to what is obviously a spectacular offering in terms of natural beauty, Costa Rica is also a land of volcanoes — six active and another 61 dormant or extinct ones, to be exact. Most are caldera volcanoes, whose craters are filled with water and rising steam. The most popular one is Poás Volcano. 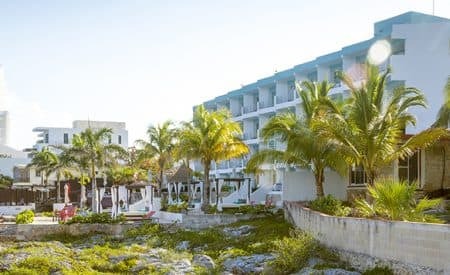 It makes for a perfect daytrip from the capital and it offers unparalleled views of both the Pacific and the Atlantic Oceans from atop its summit. Rincón de la Vieja, Irazú and Tenorio are also very popular destinations. Alternatively, Costa Rica caters to visitors looking for exhilarating experiences such as zip-lining and canopy tours. Talk about an experience to remember! Not one to be content with just overland attractions, Costa Rica also boasts exceptional marine life. Perhaps this explains why so many scuba divers, surfers, fishers, rafters and snorkelers are fond of this destination! Between the wold-famous Cocos Islands, the Pacific and the Atlantic Oceans as well as countless rivers, there really is no shortage of under and over water adventures in these parts. 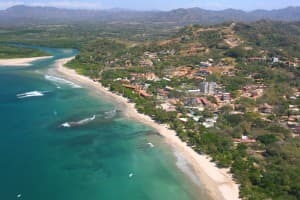 If reading this article leaves you wondering if you should visit Costa Rica now before it gets too popular, do not fret. The country isn’t about to become a tourist trap or a giant zoo; roughly 25% of the Costa Rica’s land area is in protected national parks — the largest percentage in the world — making it near impossible for developers to take over the precious and fragile biodiversity. Is Costa Rica on your bucket list?